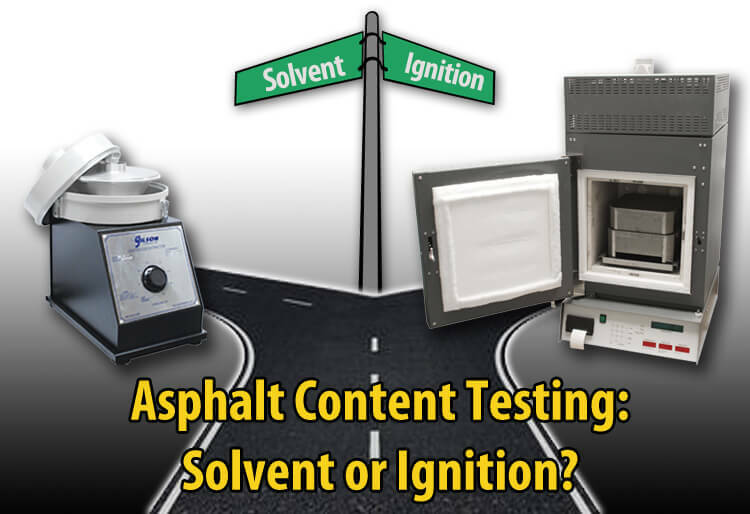 Asphalt Content Testing: Solvent Extraction vs Ignition Furnace - Gilson Co. When paving with Hot Mix Asphalt (HMA) it's important that properties of the material being laid down match what is called for in the mix design. One of the most basic factors to test for is the asphalt content of the material. There are two popular options to determine this value and both are relatively simple. The first employs solvent in a number of methods to separate the asphalt from the aggregate and filler materials. The other is to use an Ignition Furnace that ignites the asphalt, or bitumen, literally burning it away. Once the asphalt is removed from the specimen and the percent content is calculated, a gradation can be performed on the aggregate left behind. The infographic below gives you some important information on the pros and cons of each method to help you choose the best procedure for your application. For a more detailed outline of each method, read the information below the infographic. Solvent extraction methods have been used in the industry for many years and ASTM and AASHTO have established test methods in place. These procedures use various types of solvent to separate asphalt binder from an uncompacted HMA sample. Once the asphalt and solvent are separated from the aggregate, the aggregate is weighed and compared to the initial sample weight, and the asphalt content is calculated as the percentage difference. The operator can then run a gradation test on the aggregate. While these methods are established and proven, it may be worth considering other tests if solvent cost, handling and disposal are a concern. 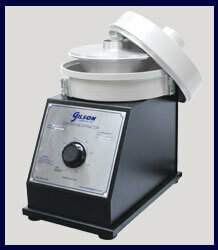 Centrifuge Extractors spin the sample at high speed. The solvent and bitumen are spun away as a liquid and collected separately from the aggregate. 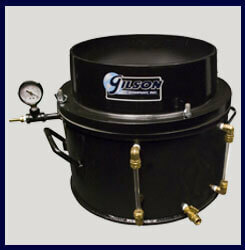 Vacuum Extractors use suction to pull the asphalt solvent/slurry through a filtration bed to make the separation. Reflux Extractors heat the solvent to a vapor, which rises to condense on a cooling coil then drips down on the HMA sample. The solvent percolates through the sample and drips to the bottom of the chamber to be reheated again. The Binder Ignition method was developed at The National Center for Asphalt Technology (NCAT), and both ASTM and AASHTO have established standard test methods for the procedure. The asphalt content is determined by the binder fraction. A specially designed furnace is heated to a chamber temperature of 538ºC (1,000°F) to ignite and burn the asphalt off of a loose HMA sample. This procedure is complete in about 30 to 40 minutes for samples from 1,200 to 1,800g, and slightly longer for samples up to 3,000g. The remaining aggregate is then weighed, initial and final weights are compared, and the asphalt content is calculated. A correction factor is sometimes required to compensate for a small amount of mineral content burned away from the aggregate. 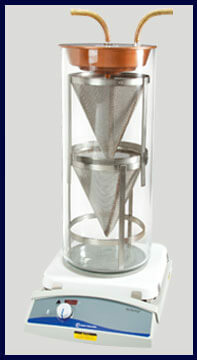 Aggregate grading is then determined with a standard sieve analysis. 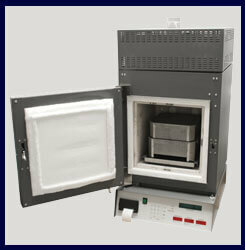 The manual test method uses the Gilson HM-378 Asphalt Content Furnace and requires manual weighing and recording of the specimen before and after the ignition procedure. Automated systems such as the Thermolyne® NCAT Furnace automatically weigh, record and report completed test results. 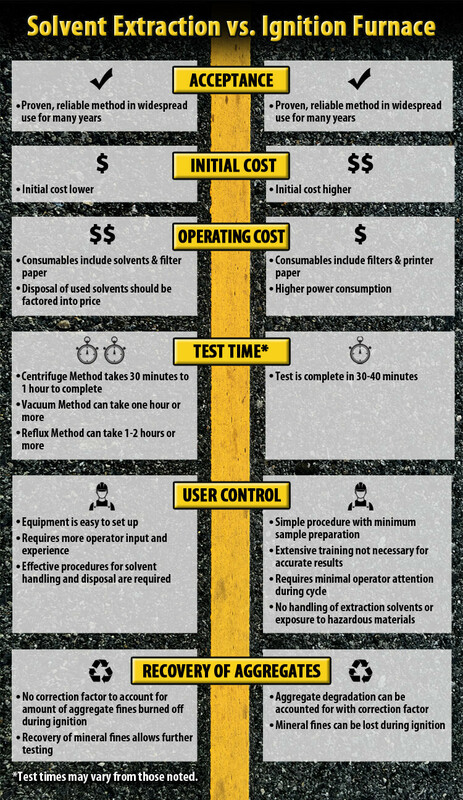 Still have questions about asphalt content testing? Speak to one of our experts at 800.444.1508.